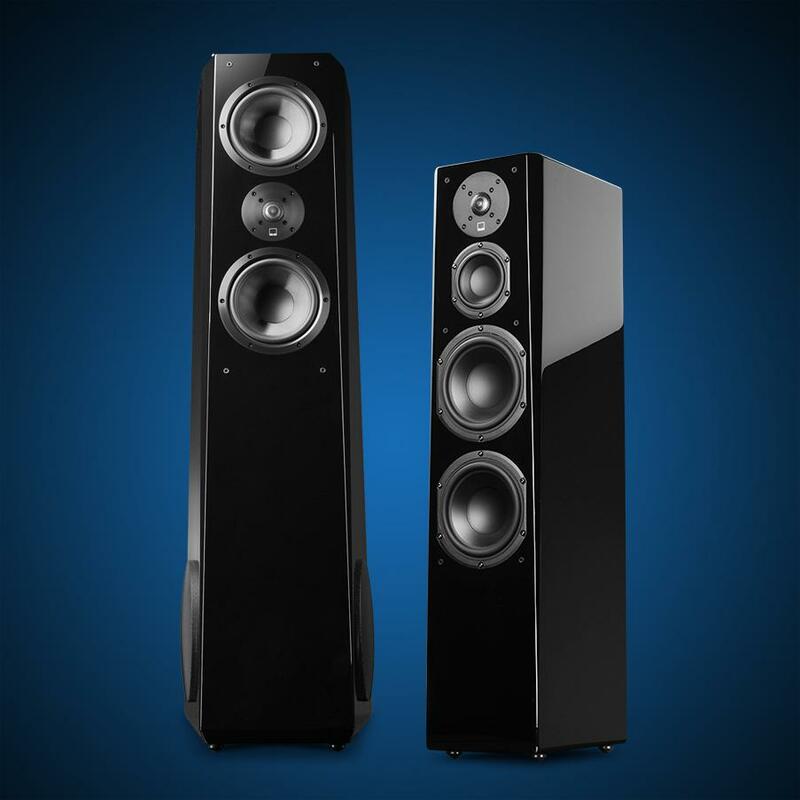 The Prime Tower is a reference-grade loudspeaker with pinpoint accuracy, exceptional tonal balance, effortless bass response and all the qualities of the best high-end floorstanding speakers available. It’s truly a stunning achievement for two-channel audiophile or surround sound home theater systems alike, especially considering the benchmark setting performance value. 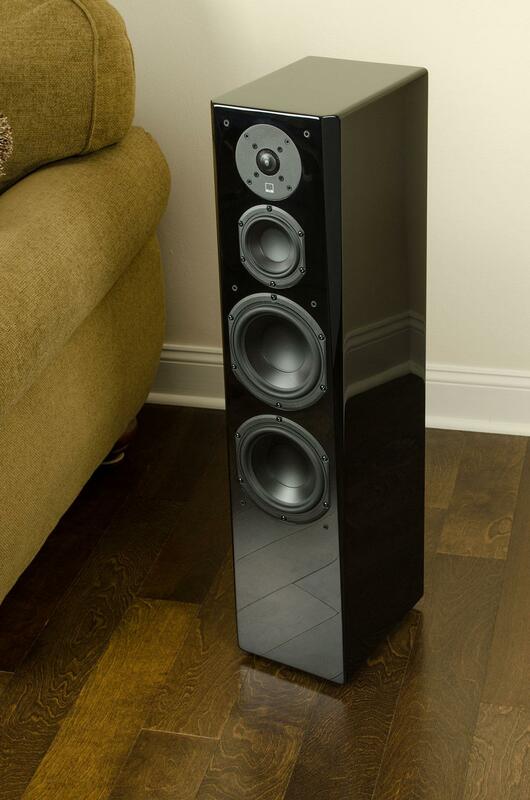 The SVS Prime Tower Speaker delivers an amazing sound through the combination of sonic accuracy and lively dynamics. Its two 6 ½ inch woofers effortlessly and accurately produce the audio from your favorite records and movies. When all is said and done this speaker will take you out of reality and place you firmly in the center of the action. Delivering immersive, full-spectrum sound, the Prime Tower Speaker anchors an amazing listening experience. The combination of both sonic accuracy and lively dynamics elevates movies to an immersive experience and highlights the subtle nuances of your music. It is remarkable on its own in a two-channel system and in a home theater, and its voicing seamlessly melds with the other Prime or Ultra speakers in your system. The result: a suspension of reality that takes you to the center of the action — be it a mosh pit or jet-fighter cockpit. Dialogue and vocals are clear and true, and bass grooves and explosions will rock the room. With its twin 6.5 inch woofers, you don’t need a standalone subwoofer if space won’t allow. Should you have the room — and want the additional depth and dimension a dedicated subwoofer provides — the Prime Tower Speaker pairs well with several SVS subwoofers, like the award-winning SB-2000. With a detailed aluminum dome tweeter, dedicated midrange driver, and dual long-throw woofers, the Prime Tower Speaker effortlessly cranks out clean, dynamic, and powerful sound. The innovative and sophisticated 3.5-way crossover has different crossover points for each woofer to deliver seamless frequency response with effortless low frequency extension. Translation – awesome bass response and a smooth, seamless transition to the midrange. SVS took the 3.5-way crossover concept a step further – each woofer has a dedicated and completely separate internal compartment with its own custom port tuning frequency. The result is effortless, deep bass you need to hear in person to fully appreciate. Similarly, the 4.5” midrange driver is mounted in its own dedicated and completely sealed compartment to ensure a smooth, precise, and clear midrange, free from standing wave coloration. All this tech is packed into a handsome and sleek cabinet available in premium-grade piano gloss black or handsome black ash finish. The proprietary SVS drivers utilize the finest materials and design features to ensure the highest sound quality and performance. The Prime Tower Speaker driver array features a 1” aluminum dome tweeter, a 4.5" midrange driver, and dual 6.5" woofers. 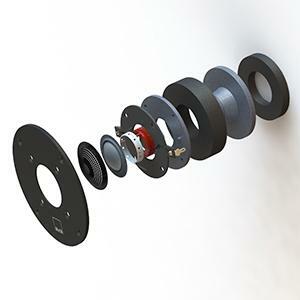 Light, efficient, and rigid, providing high SPL (Sound Pressure Level) with minimal distortion and the sense of utter transparency, a 1" aluminum dome tweeter deploys a Finite-Element-Analysis (FEA) optimized diffuser to ensure it only has the perfect on-axis and off-axis frequency response. That way, everyone in your listening room gets the best performance. Likewise, since these design traits are also found in the SVS Prime and Ultra speakers, both product lines can blend well with one another while offering that SVS hallmark ‘airy’ presentation and incredibly unveiled highs. Dedicated to blending with the tweeter and the dual 6.5” woofers, while delivering natural, smooth, and clear vocals, the 4.5 midrange driver features a polypropylene cone that is light and rigid to give a flat frequency response and the SPL necessary to keep up with the other drivers. Like all of the other woofers in the Prime and Ultra series, the 4.5” mid uses an aluminum shorting ring for reduced distortion, and a vented voice coil former to keep the motor assembly cool during high SPL playback. SVS built their groundbreaking new 6.5” bass woofers on an all-new cast ABS-fiberglass composite basket for precise component alignment and an inert frame without resonances or added harmonics. Like all of the other drivers in the Prime family, the polypropylene cone is light and rigid to give a flat frequency response and the SPL necessary to keep up with the other drivers. Like all of the other woofers in the Prime and Ultra series, the 6.5” woofers use aluminum shorting rings for reduced distortion, and vented voice coil formers to keep the motor assemblies cool during high SPL playback. 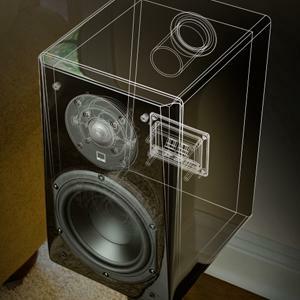 For perfect bass extension, each woofer is in its own rear-ported and individually tuned enclosure. This way, each woofer works in symphony to achieve the deepest and cleanest bass possible. SVS's exclusive SoundMatch crossover sports premium-grade capacitors, air-core inductors, and heavy-trace printed circuit boards. All of these high-quality components yield lower distortion, tighter tolerances, better heat dissipation, and all around better sound. The innovative and sophisticated 3.5-way crossover is unique in that each woofer has its own discrete crossover, doubling the number of components used for the bass section, and allowing the woofers to work together without lobing in the vertical axis, which can cause cancellations at the listening area, and instead improves radiated sound power. Dimensions (H x W x D): 36.6" x 8" x 11.6"
The Prime Tower speakers set the bar for sound quality and high-end appeal among tower speakers anywhere near the price. 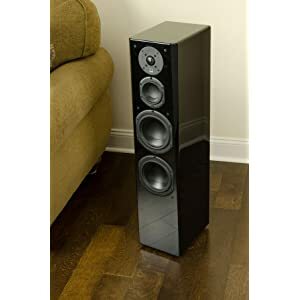 The reference-grade SVS floorstanding speaker is amazingly transparent, with a broad, stable soundstage and sharp imaging of voices and instruments, all punctuated by deep yet accurate low frequency extension. The precision machined front-baffle chamfers were carefully engineered to reduce tweeter diffraction artifacts, while the rest of the cabinet was designed to eliminate resonances for an honest, neutral and uncolored sound. Likewise, even the grill has been FEA optimized for maximum transparency. The light, efficient, and rigid 1 inch Aluminum dome tweeter provides high SPL, minimal distortion, and a sense of utter transparency. It deploys a FEA optimized diffuser to ensure only the perfect on-axis and off-axis frequency response. That way everyone in your listening room gets the best performance. Since we share these design traits with both the Prime and Ultra speakers, both product lines can blend perfectly while offering that SVS hallmark ‘airy’ presentation and incredibly unveiled highs. 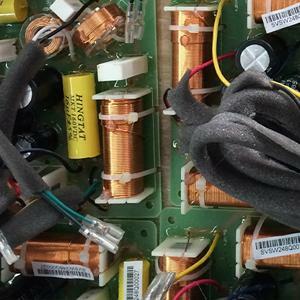 Our exclusive SoundMatch crossover sports premium-grade capacitors, air-core inductors, and heavy-trace printed circuit boards. All of these high-quality components yield lower distortion, tighter tolerances, better heat dissipation, and all around better sound. The innovative and sophisticated 3.5-way crossover is unique in that each woofer has its own discrete crossover, doubling the number of components used for the bass section, and allowing the woofers to work together without lobing in the vertical axis, which can cause cancellations at the listening area, and instead improves radiated sound power. Borrowing heavily from the Ultra line, the Prime Bookshelf is packed with high-end technology and premium quality drivers, setting a new high-water mark for sound quality and performance value at this price point. The crossover is the key to any great bookshelf, and our exclusive SoundMatch network is packed with quality components and exhaustive refinement for outstanding phase coherency and time domain behavior. The transition between tweeter and woofer is so smooth and seamless you’ll swear it sounds like a single full-range drive. The front baffle of the cabinet is chamfered and the drivers are flush-mounted to reduce edge diffraction for a smooth high-end and outstanding imaging. Inside the FEA and CAD optimized cabinet is braced to eliminate resonances for an honest, neutral and uncolored midrange.